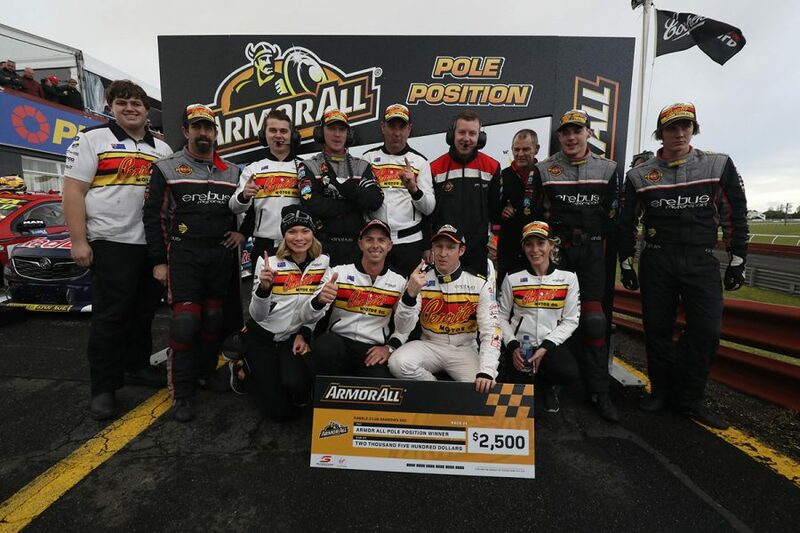 Erebus Motorsport's David Reynolds beat Jamie Whincup in the second ARMOR ALL Race for the Grid, to secure pole for the RABBLE.club Sandown 500. The second of Saturday's pair of 20-lap races set the grid for Supercars' PIRTEK Enduro Cup opener in Melbourne on Sunday. 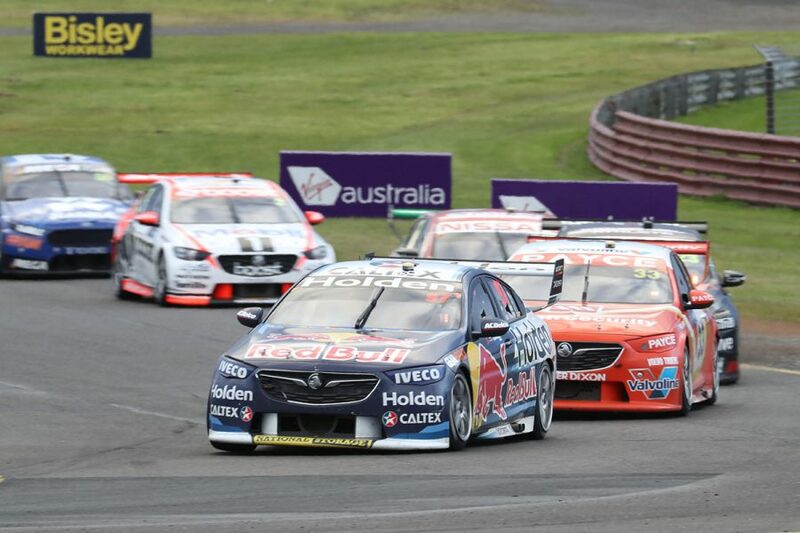 The defending Bathurst winner with Luke Youlden, Reynolds led from start to finish, holding off Whincup – who started 11th – to secure ARMOR ALL Pole Position. 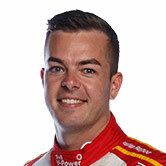 Scott McLaughlin's Shell Ford will start third and championship leader Shane van Gisbergen's Red Bull Holden 11th. More rain fell between the two Races for the Grid, but the track surface was dry enough for the whole field to opt to start on slicks. Reynolds bolted from the front row to lead McLaughlin by 2.1 seconds by the end of the first lap. He was 2.7s up on lap three when the Safety Car was called, after James Courtney ran wide and hit the tyres at Turn 6. 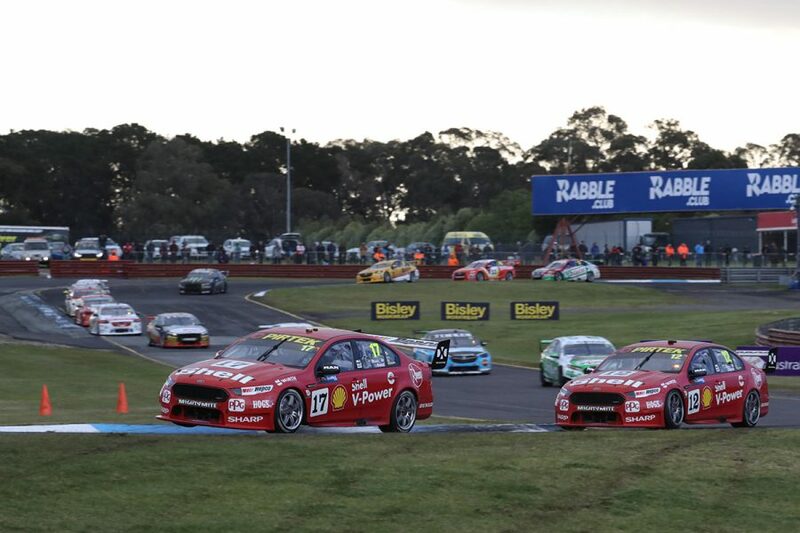 The race resumed on lap eight, and Reynolds maintained control over the Falcons of McLaughlin and Fabian Coulthard. They were soon joined by Whincup, who started 11th after co-driver Paul Dumbrell pitted for wets in the first Race for the Grid. Having got to sixth in the early stages, Whincup put moves on Nick Percat and Mark Winterbottom after the restart. He then passed Coulthard and McLaughlin within the space of a lap-and-a-half, to sit 1.5s behind Reynolds with seven laps to go. The gap was non-existent by the time they started the penultimate lap, but Reynolds held on in his Penrite Holden. “It was a bizarre, crazy day, but it was all set up by Luke who did an amazing job for us in the fully wet conditions,” Reynolds said. “We got very lucky with the strategy call [in the first sprint]. If we were the lead car at that point we probably would have pitted like [the sister Erebus Commodore of] Anton [De Pasquale and Will Brown] did. “Things just organically happened today and we kind of benefited from it. 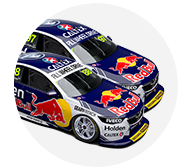 Whincup and Dumbrell have largely set the pace across Friday and Saturday's running, with Dumbrell leading the co-driver race before pitting. 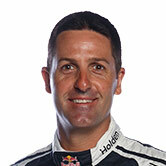 “The car is great, we’ve been in this position before though and it hasn’t gone so well on Sunday,” Whincup said. McLaughlin and Coulthard took third and fourth, ahead of Winterbottom, while Percat had to pit with two laps remaining, falling from sixth to 25th. Andre Heimgartner, whose co-driver Aaren Russell won the first Race for the Grid, crept briefly before the lights went out. He stopped the Altima – and was cleared of leaving his grid spot, avoiding penalty – but then fell to sixth off the line with a slow getaway, where he ultimately finished. “Unfortunately in the first couple of laps our tyre pressures were a bit low and I got swamped a bit there,” Heimgartner said. “For us, the aim there wasn’t to go out and win the race, we’d had such a tough last few rounds, the aim was just to get a solid start for tomorrow." Chaz Mostert took seventh, ahead of Tim Slade, Anton De Pasquale, Craig Lowndes and van Gisbergen. From 16th, where co-driver Earl Bamber finished the first sprint, van Gisbergen fell to 19th in the early stages. He made better progress after the restart, picking his way up to 13th quickly but then tucked in behind stablemate Craig Lowndes in a train of cars. Lowndes made his way past Will Davison at Turn 1, with van Gisbergen pouncing to clear them both into Turn 2. As van Gisbergen tried to pass De Pasquale on the final lap, the pair were slow through Turns 2 and 3, with Lowndes reclaiming 10th. 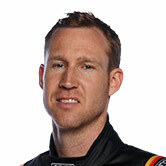 Davison took 12th, ahead of Cameron Waters, Tim Blanchard, Garth Tander and Rick Kelly. 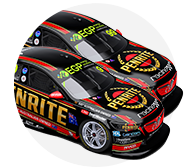 A warm-up session at 10:15am on Sunday is followed by Sandown's 161-lap PIRTEK Enduro Cup opener from 1:20pm.